H. callitrichoides is generally moderate to slow growing in the aquarium. 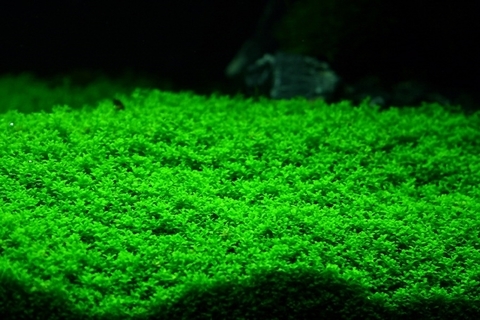 It requires abundant lighting, generous nutrient levels, a fine-grained substrate and good CO2 levels to do well in the aquarium and will respond with a great deal of pearling if those things are provided. Two watts or more per gallon of compact fluorescent lighting or an equivalent light source will keep it growing close to the substrate. A good rule of thumb for this plant is this: The more light and CO2 available, the more the plant will thrive. Flourish Excel is accepted well by this plant and its use will result in noticeable growth improvements. 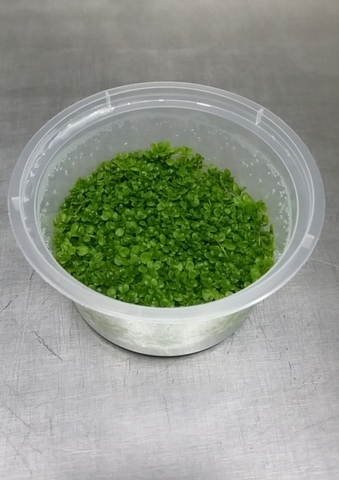 H. callitrichoides can be grown emersed but is somewhat prone to fungal attack if the soil is not thoroughly saturated with water. A rich substrate like Aquasoil and intense lighting are recommended. The plant will flower with tiny white blooms if grown emersed, but the flowers are extremely small and easy to overlook. In an aquascape, H. callitrichoides is sometimes planted between rocks or over wood to give an aged look. More frequently, it is used as a general foreground cover, often in combination with other foreground plants such as Eleocharis species. Its small size makes it especially useful for nano aquariums. When planting H. callitrichoides, there are two main techniques. The first is to plant small half inch plugs in the substrate at roughly one inch intervals. The second is to carefully plant individual stems close together with a good pair of tweezers (rooting fish will cause stems to be dislodged). There is some debate about which method is best for the fastest coverage, but both work well given good growing conditions.